Every day, many people across America experience the loss of a loved one. That’s just a part of life’s journey. For every person who passes away, another person must take on the task of managing the estate. Are you this person? If you’re reading this e-book, the answer is most likely yes. Let me assure you that this task does not have to be overwhelming. First, I would like to extend our sincere condolences on the loss of your loved one. Our goal is to provide top-quality professional service throughout the probate process. Often, this process is quite stressful, so having the right team to help you can bridge the gap between stress and success. Our probate team can help you find attorneys, accountants, estate sale services and many other professionals to help you settle your loved one’s estate. We have built the largest and most comprehensive network of professionals to help you during this journey. Executors and administrators (also known as personal representatives) have the task of managing an estate after a loved one has died. This process can be handled with the guidance of a professional probate attorney or by filing the proper paperwork on your own. It is crucial to understand that probate laws vary from state to state. In some states, a licensed probate attorney must represent the estate and file this paperwork. Here is where mistakes sometimes start happening. If you do not feel comfortable filing the petition for probate on your own, you should seek professional legal advice from a qualified attorney or paralegal. In some cases, the estate may not have enough money to file this paperwork. Check with the applicable probate court for free resources that may be available to help you get started with the process. To locate the appropriate probate court, search for it in your preferred online search engine. Type the name of the county where the decedent — that is, the person who has died — resided, followed by the words “probate court.” For example, if the person who died lived in Los Angeles, you would type “Los Angeles county probate court” in the search bar. The results will provide you with all the information you need to contact the probate court. Remember, probate takes place in the county where the decedent resided at the time of death, not your home county or that of the decedent’s heirs. What am I supposed to do first? 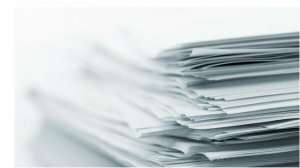 Do I need to file for probate? There are no easy answers to most of these questions, but in answer to the first one, you should start by gathering as much information as possible. Begin by looking for a will or a living trust the decedent may have left for the family. This will be invaluable to you as you begin the process of dealing with the estate. Unfortunately, many people in the United States have no will or living trust, so don’t be discouraged if you can’t find these documents. It will still be possible to settle the estate, but it may be more complicated. Next, consider contacting an attorney who specializes in probate. There are many ways to go about searching for this professional. One option is to search online for a local probate attorney. Another option is to contact the bar association in the decedent’s home state and ask for a referral to a probate attorney in the area. A third option is to request a prescreened list of local attorneys from our probate team. 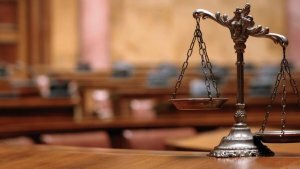 This will most likely be the easiest and most reliable approach to finding the right attorney for your needs. Once you have found the right legal advisor, that person will guide you as you begin gathering all the documents you will need. Don’t worry if you cannot locate some of them. Do the best you can, and the lawyer will advise you about how to address the matter of any missing documents. As you travel down this road, you may have questions about the process, and it’s no secret that attorneys are busy people. At any point, feel free to reach out to our team, and we will help you find the answers or direct you to a professional who will be able to assist you. Always remember that we are part of your team, and you are not alone! The biggest challenge in settling an estate is deciding whether to keep or liquidate the assets. The choice is not always easy. It all depends on the situation, and it often comes down to the amount of debt the estate must pay. Unfortunately, this amount is often not obvious, because creditors must file claims and wait for the court to approve them. Sometimes, creditors do not file their claims on time, and then the estate is not obligated to pay them. Other times, an executor or administrator may think that the estate has no outstanding debt. Then, without warning, unexpected bills begin to appear. This can cause a great deal of stress. In some instances, the estate may be responsible for a mortgage on a property, but there may not be enough cash on hand to make those payments. Nevertheless, the mortgage payments must be made or you risk having the property go into foreclosure. If you find yourself in this situation, you may need to liquidate other estate assets to obtain the necessary funds. What assets can you liquidate? There are three types of non-liquid assets that you will likely be dealing with during the probate process: personal property, real property, and investments. If you want to liquidate personal property, you may wish to contact an estate sale company. 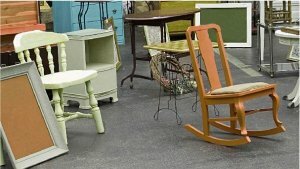 However, if there are unique pieces of value, such as antiques, jewelry or art, an auction house might be a better option. For investment assets such as stocks, bonds and mutual funds, you should consult a qualified money management professional, such as a chartered financial consultant or an accredited investment fiduciary. 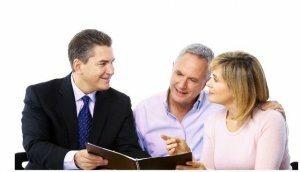 These professionals can advise you about the best way to go about turning the estate’s investments into cash. Executors and administrators often expect that probate will be either a very short process or one that drags on for a long time. Either of these scenarios can occur. The probate process varies from state to state, and the time it takes depends on a number of factors, some relating to the estate itself and others relating to the jurisdiction. For example, if family members do not agree on matters such as how to handle the sale of assets, particularly the real estate, that can slow things down considerably. Additionally, the number of files the probate court is processing and the efficiency of the particular court also come into play. Unfortunately, many executors and administrators go through the probate process without proper guidance on the steps they must take to settle the estate and the correct order for those steps. To get an overall idea of the basic steps involved in settling a loved one’s estate, request a Probate Timeline from us. This powerful document outlines the tasks involved in administering an estate and the order in which they should be done, so you can stay on point as you move forward. The Probate Timeline also shows when you can expect each step in the process to take place. Please note that this timeline is based on national averages, and the time frames involved may vary depending on the region. In general, though, the probate process usually takes between 9 and 18 months. Although your attorney will play a key role during the probate process, it can be a mistake to rely on this one individual for everything. For example, it is a good idea to talk with a Certified Public Accountant to find out about any potential tax issues connected with the settlement of the estate and the sale of assets. It is important to remember that as the personal representative for the estate, you have a fiduciary responsibility to protect all of the estate’s assets. This means you are responsible for seeing that all assets, real and personal, are kept secure and in good condition. Remember, your decisions must always be in the best interests of the estate. It’s not unusual for personal property to go missing after someone dies. There are cases where valuable assets, such as art, jewelry, collector’s items and much more, have disappeared from the decedent’s house. 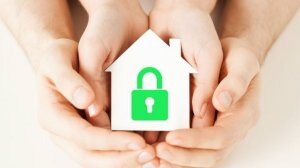 Ultimately, it is up to the personal representative to make sure that the contents of the home are safe. One important step is to take inventory of all the decedent’s personal possessions and real property. An easy way to get started is by videotaping the contents of the home or taking pictures of all the items. Later, you can use the video or photos to create a written log. Changing or rekeying the locks is another simple measure to ensure that just one person is responsible for the home and all its contents. Finally, if you are not sure about the value of the personal property owned by the estate, contact an estate sale company or an auction service for guidance on the value of these assets and the best approach for liquidating them. Give us a call or email us for a recommendation. We will be happy to put you in touch with the right company for your needs. Many personal representatives find themselves in the position of managing an estate but having no prior knowledge of its contents. This is most often true when the decedent has not left a will or living trust. Being a personal representative is not an easy task, and it gets more complicated when the estate includes real property. Remember, as the person in charge of the estate, you have a fiduciary responsibility to make sure all the assets are safe and in working condition. This includes making sure that any real estate — usually the estate’s most valuable asset — is properly insured. And yet, many personal representatives do not know whether the property is insured at all, let alone properly insured. Natural disasters or vandalism can strike at any time, so it’s essential that you make sure the property is adequately insured while the estate is being settled. Even if you have decided that the property must be sold, it’s still important to insure it. First, it is much easier to sell a house that is properly insured at the time of sale. Second, if you are planning to sell the house to settle outstanding debts and the property is damaged before the sale is complete, proper insurance will protect the heirs from substantial financial loss. 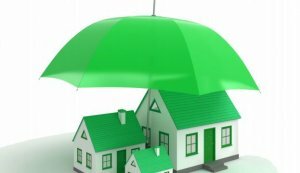 If the property is uninsured or under-insured, you, as the personal representative and fiduciary, may be liable for any losses due to damage that would otherwise have been covered by insurance. To avoid this possibility, find out about the property’s insurance status as soon as possible. Be sure to contact a reputable insurance company to make sure the property has the appropriate insurance based on the needs of the estate. A common mistake made by personal representatives is purchasing the wrong type of insurance while managing the estate, costing the estate more than necessary. To make sure you’re working with a reputable insurance company that can meet your specific needs, please call me or email me for a recommendation. 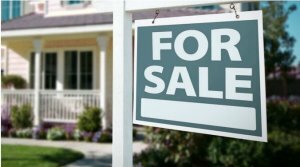 Selling a property in probate is a bit different than selling a home under ordinary circumstances. The property’s owner is no longer alive, and many personal representatives do not know all the details of the property in question. Nevertheless, for the purposes of the sale, the personal representative is acting as the owner of the property and is responsible for making sure it is sold at the best price, based on the current market. Remember, the personal representative has a fiduciary responsibility to everyone involved in the estate, which means all assets must be sold at the highest possible price. This raises the question: How much is the house worth? The answer is not as simple as in an ordinary sale. For a property in probate, the value of the property at the time of the owner’s death must be taken into consideration. Many real estate agents make the big mistake of pricing the property based on current market values. But between the owner’s death and the date the property goes up for sale, market conditions may change, and the market value of the property at the time of the owner’s death may be considerably different from what it can fetch when you are ready to sell. Ordinary real estate agents who are not trained have been known to make mistakes that result in the sale of a property falling through or the court rejecting an offer because the proper process was not followed. Remember, time is money for an estate, and having to put the property back on the market after a sale falls through because of process errors can cause a tremendous financial loss to all the people involved in the estate. To avoid such mistakes and protect yourself from being sued by the heirs, contact our team to set up a meeting. We will be happy to study your specific case and help you through the process of selling a property in probate.